Would you like us to send you special offers, deals and other savings? Your account has been updated. Sorry, there was a problem updating your account. Please try again later. Link your accounts for the best United Vacations experience. Click the Link Accounts button below to link your UV account to your MileagePlus account. When you return to the UV site, you’ll be able to conveniently sign in with MileagePlus. Do not link accounts. You will no longer have acess to your Vacation preferences. 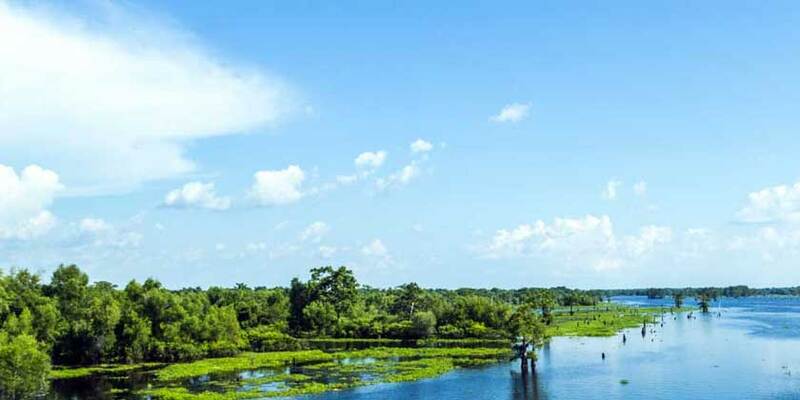 Southwest Louisiana's Lake Charles region caters to visitors with everything from glitzy casinos to family-friendly festivals. With the Contraband Days Pirate Festival and dozens more celebrations each year, the area has a reputation as the Festival Capital of Louisiana. Visit the largest display of Mardi Gras costumes in the world, taste world-famous Cajun and Creole cuisine, and test your luck at the local casinos. Three wildlife refuges can be found along the Creole Nature Trail All-American Road, teeming with alligators, birds and more. If your infant does not require a separate air seat, please contact our customer care center at 1-888-854-3899 for assistance with your booking. If you wish to reserve a separate air seat for your infant, please enter the age of the infant as 1 and make sure you bring proof of your child's age to the airport. Children ages 2 or older have to purchase a separate air seat. 1 (0) Toggle including or excluding 1 nights packages, 0 deals match this criteria. 2 (0) Toggle including or excluding 2 nights packages, 0 deals match this criteria. 3 (0) Toggle including or excluding 3 nights packages, 0 deals match this criteria. 4 (0) Toggle including or excluding 4 nights packages, 0 deals match this criteria. 5 (0) Toggle including or excluding 5 nights packages, 0 deals match this criteria. 6 (0) Toggle including or excluding 6 nights packages, 0 deals match this criteria. 7+ (0) Toggle including or excluding 7+ nights packages, 0 deals match this criteria. While we are not featuring any offers from your selected origin today, you can still find great values from your origin by using the search tool or by selecting another origin. ALG Vacations Corp. is the tour operator for United Vacations. As to Disney photos, logos, properties: © Disney/Pixar.